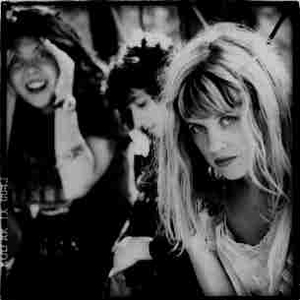 Babes in Toyland was an American alternative rock band formed in Minneapolis, Minnesota, in 1987, when Lori Barbero met Kat Bjelland at a friend's barbeque. Originally four-piece, the band developed into the honed-down trio of Lori (long-time Minneapolis scenester) on drums, Kat (a transplant from Oregon via San Francisco, who moved to Minneapolis specifically to form a band) on vocals and guitar, and Michelle Leon on bass. Courtney Love, a close friend and former bandmate of Bjelland's in the short-lived group The Pagan Babies, had a brief stint in the band as a bass player in 1987, before being kicked out and later forming Hole two years afterward. Their debut album Spanking Machine -- released in 1990 -- caught the attention of Sonic Youth's Thurston Moore, who began singing their praises in the music press and invited the band to support them on their European tour. Meanwhile, Spanking Machine was released in the UK by Southern Studios, and was quickly gaining favour with the music press and John Peel who recorded a session with them and named the album as his favorite of 1990.